Sports Friends serves thousands of kids in Ethiopia, but only about 1,000 of them get to come to Camp Langano each summer. 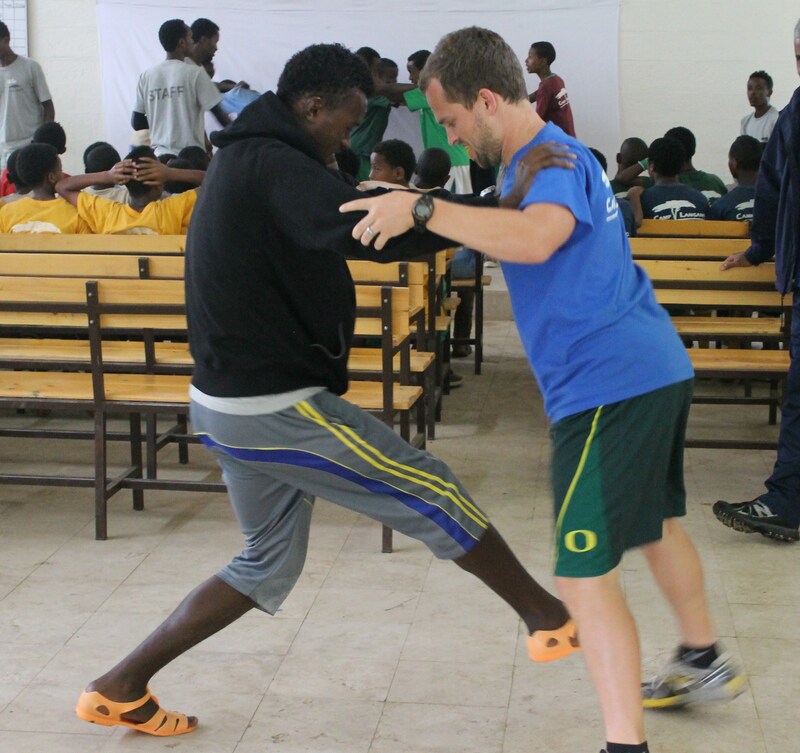 Dedicated coaches (or Sports Ministers, as SF officially calls them) from around Ethiopia are invited to camp by Sports Friends regional staff, and then those coaches face the task of selecting 5-10 kids to bring with them for the week. I can only imagine the prayer and consideration involved in this process, because the time spent at camp will certainly be life-changing and, clearly, not everyone will have the opportunity to experience it. All of the kids and coaches were sorted onto teams shortly after they arrived at Camp. They were not necessarily with their teammates or coaches from home. While I obviously enjoyed hanging out with the kids, one of my favorite parts about camp this summer was getting to know the coaches. These people are legit about serving the youth in their communities. Their selflessness was so evident, and I sincerely believe that a passionate, bold generation of Ethiopians is being raised up by the people I met. Some of the stories the coaches (and the staff, for that matter) told about their pasts are truly unbelievable. It’s always convicting for me to hear stories from believers around the world who stand firm for God in places where they could face punishment, disownment, or even death for it. In church on Sundays I’m mostly worried about whether or not the coffee will still be hot by the time I get there or if there will be enough seats in a row for my friends and me to all sit together. Real important stuff, ya know? On the left is Dinku, the coach I spent the week with on team Germany. On the right, TJ and Yibe play a game. Yibe is on summer staff at Camp and was on team England with TJ. 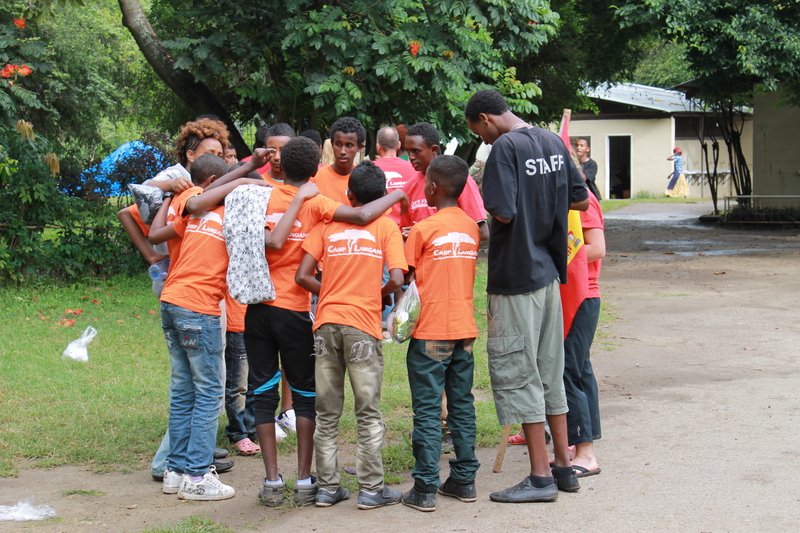 On the last night of each week of camp, the Sports Friends staff and the firenjis (white people, for those of you who don’t speak Amharic ;)) have a foot-washing ceremony prepared to honor the coaches. The basis and symbolism of this comes from John 13 when Jesus washed his disciples’ feet. John 13: 14-17: Now that I, your Lord and Teacher, have washed your feet, you also should wash one another’s feet. I have set you an example that you should do as I have done for you. Very truly I tell you, no servant is greater than his master, nor is a messenger greater than the one who sent him. Now that you know these things, you will be blessed if you do them. The idea of Jesus, the King and Savior, washing the feet of his disciples, ordinary people like you and me, defies everything our world says about leadership and power. In our culture the lowly serve the elevated, not the other way around. But in the culture of God’s kingdom, everything is upside down. I sincerely love the picture and example of Jesus as a servant-leader. 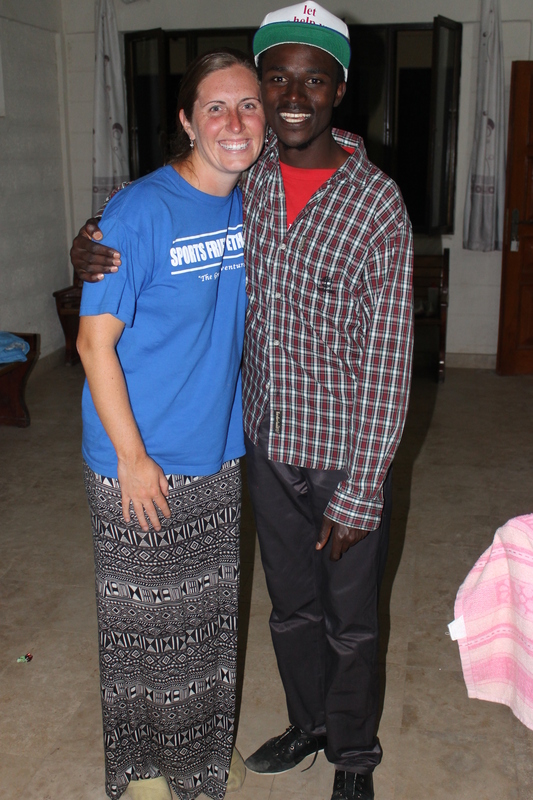 On the night of the foot-washing ceremony, the coaches sat in front of all the kids and staff. The men in our group and one of the ladies were waiting with basins and towels. The rest of us stood off to the side to sing Amazing Grace while Marisa, our group’s musician, strummed her guitar. I can’t remember ever being in a room filled with kids that quiet before. I watched them curiously, imagining what they must be thinking. What are these crazy firenjis doing? Why is my coach sitting up there? What is going on? The moment our group started the ceremony and we began singing, I was a wreck. I believe I successfully choked out the first few lines of the song, but by about “was blind, but now I see” it was over. I had my face in my hands and was sobbing right along with most of the coaches sitting in the front of the room. Rarely in my life have I ever felt God’s presence so acutely. Rarely have the words to this timeless hymn ever seemed so real. Because of His grace thousands of Ethiopian children have Godly, caring adults to look up to and depend on. Because of His grace these kids get to be just kids for a week at camp – safely playing and having fun in a way that many of us who grew up in America likely took for granted. Because of His grace they are exposed to a different way of living, a way filled with the hope and joy of God that this world so desperately needs. And because of His grace TJ and I got to play a tiny, tiny part in all of this. His grace truly is amazing. Because of the sensitive and emotional nature of the foot-washing ceremony, I didn’t take pictures to share. 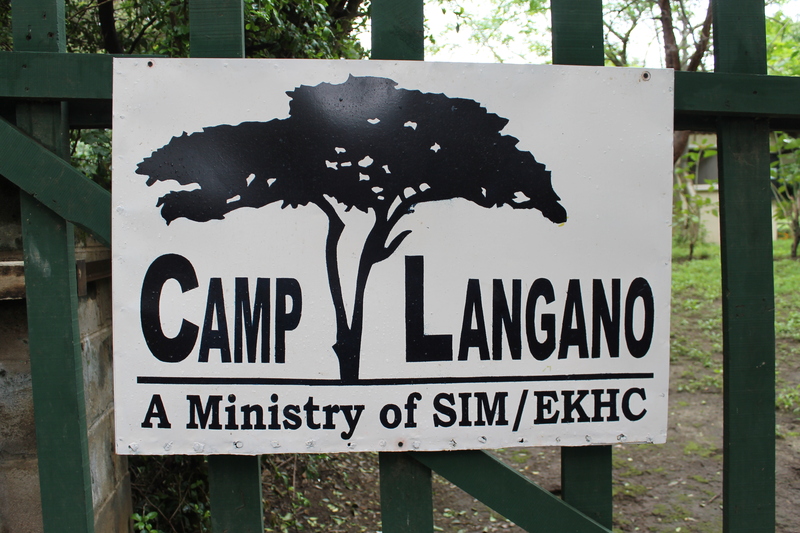 However, if you’d like a glimpse into it, there is video footage of one in the Camp Langano video I posted in July under “Off to Ethiopia!” It starts at 3:25.